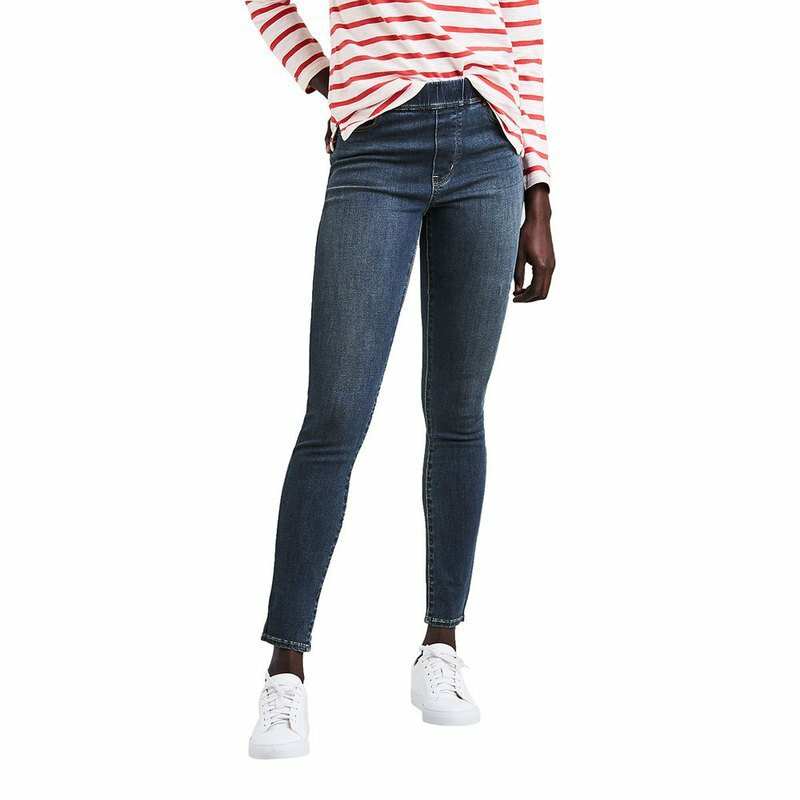 These women's pull-on leggings from Levi's combine the classic look of a pair of jeans with the comfort and flexibility of leggings. These jeans feature a covered elastic waistband with a faux fly and are made from a stretchy and durable cotton fabric, allowing you to slip them on with ease and stay comfortable from day to night. The skinny leg cut creates a fashion-forward silhouette, while the front and back pockets keep your phone and other items secure. Pair with a blouse and flats for a classy ensemble, or with your favorite tee for a comfortable and stylish outfit.